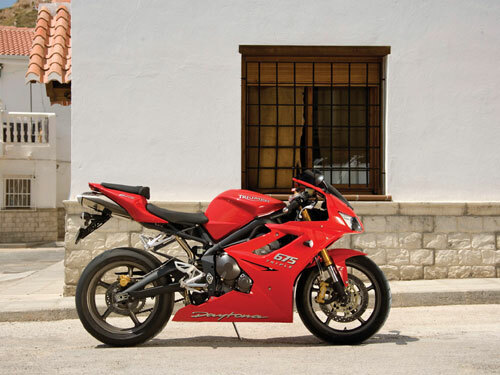 The 675cc, water-cooled, three cylinder, 12-valve power unit is extremely compact, featuring a Keihin fuel injection system and a stacked six-speed close ratio gearbox. 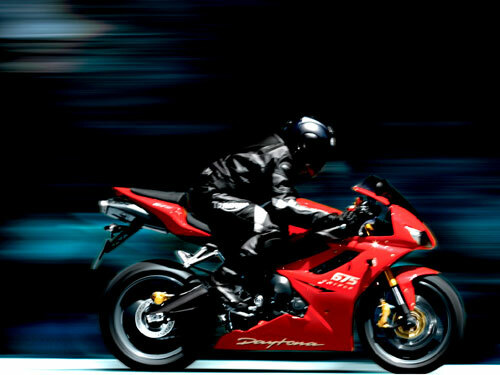 Peak power of 123bhp is delivered at 12500rpm, with 53ft.lbf torque at 11750rpm. While the Daytona 675’s engine is refined, the triple’s innate character remains with typical Triumph toughness engineered all the way through. The Daytona 675’s suspension consists of top quality, fully adjustable Kayaba 41mm upside down forks and a fully adjustable piggyback reservoir rear shock. This track-bred suspension gives razor sharp handling and can be tuned by the rider to suit their own style. 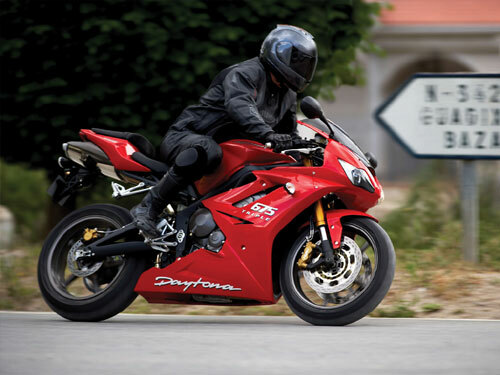 The Daytona 675 turns at the speed of thought, is glued to the road and stunningly agile. Radial calipers and master cylinder on floating 308mm discs give the best brakes in the business.